The annual Principal Australia Institute’s John Laing Professional Development Awards are a peer-nominated celebration of school leadership and professional learning. Awards acknowledge principals in every state and territory who demonstrate outstanding leadership and commitment to professional learning. Three events have been held with more to come before the end of the year. The Principal Certification Team will hold a webinar hosted by the National Excellence in School Leadership Initiative on 29 October. The webinar, ‘The Standard in Action’, will celebrate the achievement of Principal Certification milestones for 2015 and report on the culmination of eight weeks of focused engagement during the National Prototype Trial with the Principal Trial Team and Principal Assessment Team. Guest speakers include Dr Lawrence Ingvarson (ACER) and Dr Lan Snell (Charles Sturt University). Live web discussions with Principal Trial Team members will acknowledge their valuable contribution in the Trial. A copy of the webinar will be made available on the Institute website. The Leadership Briefing webinars are for school leaders and school leadership teams. Learn about KidsMatter Primary and MindMatters and explore how the frameworks can support your school to improve the mental health and wellbeing of children and young people. 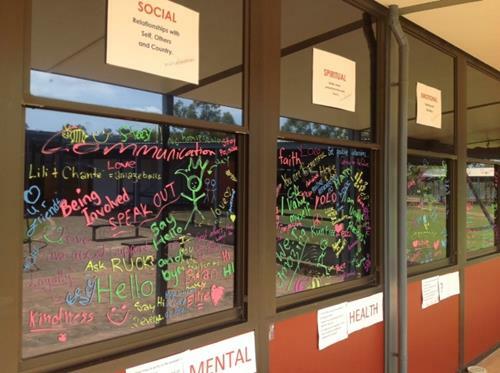 Nhulunbuy High School began implementing MindMatters in late 2012. The Assistant Principal worked enthusiastically with staff to introduce the framework to support students. It was a case of MindMatters drawing together all things in the school related to wellbeing. World Teachers Day celebrated on 5 October is an opportunity to recognise and appreciate the role of principals, teachers and support staff in schools. It has been celebrated in 100 countries for 21 years since it was established by the United National Educational, Scientific and Cultural Organisation (UNESCO). The theme this year is ‘Empowering teachers, building sustainable societies’. 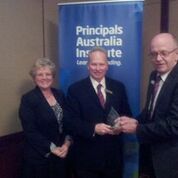 Principals Australia Institute celebrates leaders, teachers and school staff, and acknowledges the contribution they make in the community. Principals Australia Institute (PAI) has recently been working in partnership with the University of South Australia to deliver aspects of the More Aboriginal and Torres Strait Islander Teachers Initiative (MATSITI) funded by the Department of Prime Minister and Cabinet. 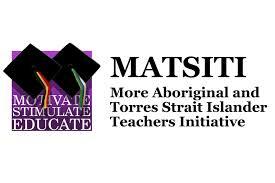 MATSITI aims to enhance career and leadership pathways for Aboriginal and Torres Strait Islander staff in schools. 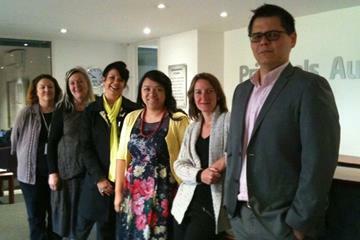 Principals Australia Institute (PAI) played host for the Adelaide visit of Dr Ron Beghetto, an international expert on creativity in educational settings. He is Professor of Educational Psychology in the Neag School of Education at the University of Connecticut. Recently Principals Australia Institute trained two staff members of the Australian Independent School in Indonesia to deliver Child Protection Curriculum training designed by the South Australian Department of Education and Child Development. PAI staff have delivered the training for three years in schools across SA. The conference brings together world-leading scientists, psychologists and educators, as well as ordinary people doing extraordinary things. PAI will host an exhibitor’s table at the conference on 27-28 October in Sydney. As a partner organisation, PAI can offer PAIge subscribers a 20% discount on conference fees. This annual event aims to bring together the entire education and training sector - to learn, debate, exchange ideas and be inspired. As a supporting body, PAI can offer PAIge subscribers a 10% discount on registration fees. The Master of Teaching (Secondary) Internship is an employment-based initial teacher education pathway to attract graduates and career-change endorsed by the Department of Education and Training. 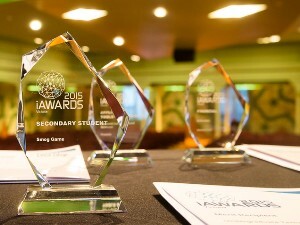 The iAwards celebrates ICT innovation. Nominations for 2016 will open soon and close mid-December 2015. If your students have a great tech or digital innovation and would like recognition at state, national and international levels, please register and we will advise you when nominations open.